Snap has revealed a slate of new UK shows coming to its platform through partnerships with the likes of Sky and Vice as it pivots away from commissioning producers. Rami Saad, head of international content partnerships for Snap, revealed 16 new localised titles from The Guardian, The Culture Trip, Gleam Futures and long-term partners Sky and Vice during an event in London on 30 October. He noted that “now is not the time” for Snap UK originals like the slate launched in the US earlier this autumn. Instead, the platform is pushing into more localised programming via media partnerships as it leads to results for the platform. Travel media start-up The Culture Trip will launch its first-ever serialised show Hungerlust on the platform. The title will run for eight episodes and explores food as a hook into the wider cultures of territories such as Mexico, Tokyo and Austin. 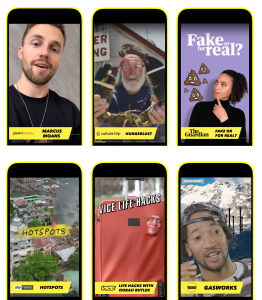 Vice, which has worked with Snap since 2015, has five new titles that will include originals for the platform as well as well-known formats. Established formats such as Vice Life Hacks and Most Expensivest will be joined by Cutest Jobs in the World, ID’s Beyond Beauty and ID Explains. Meanwhile Sky, which has also had a long-term partnership with the platform, will bring in current affairs titles HotSpots, Divided and football format Winners & Losers. The Guardian’s Fake or Real, Channel 4’s Peng Life, Gleam Futures’ Marcus Moans and Tastemade’s Cake Break are also included in the slate. Saad said that the time spent on shows – which are 3-7 minutes long but still have an episodic format that is “TV like” – has more than tripled since the start of 2018. “This is a clear signal that this content format is something viewers are interested in,” he said. 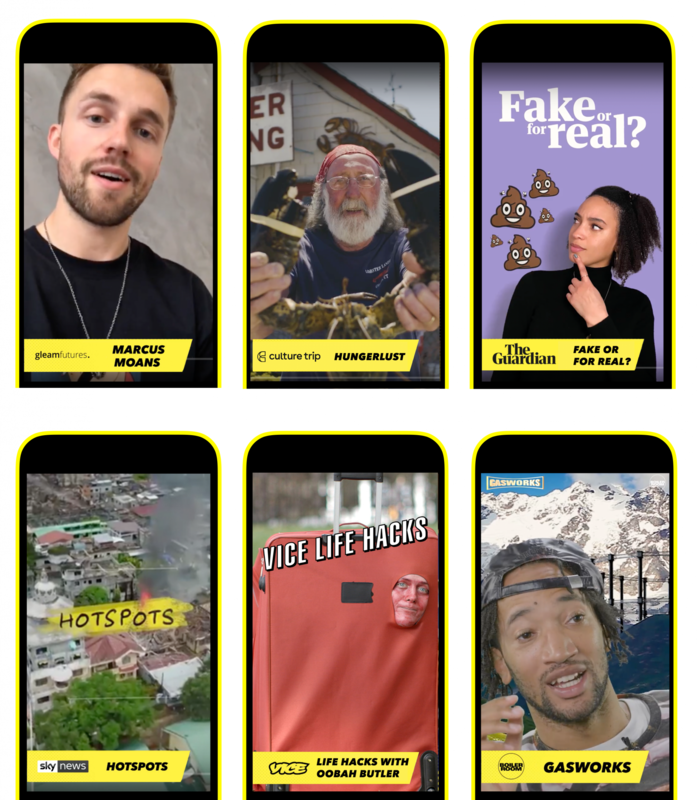 With the launch of its first full slate of programming, Snap has also created a premium destination to place its shows, which features show profiles, an ‘instant subscribe’ application so you never miss an episode and an ‘up next’ feature. However, the way in which Snap works with its show partners is somewhat different to competitors such as YouTube and Facebook. As Saad explained, Snap does not commission titles from partners but its programming team seeks out the brands they believe will be suitable for the platform. Furthermore, Snap does not fund the titles on its platform. Revenue is generated through ads displayed on the platform, which is then shared between the platform and its partner. Partner attendees on the panel, including The Culture Trip, Gleam, Sky and Vice, explained that revenue is not a key driver in collaborations with Snap. Rather, they are more likely to think about targeting the right audience, audience growth and marketing for their pre-existing brand.